Pastor Glenn Byers of Warsaw, Indiana passed away quickly and peacefully at the age of 83 in the midst of family on Saturday, August 11, 2018 while attending a family reunion in New Castle, Pennsylvania. He was born on January 4, 1935 in Johnstown, Pennsylvania to Emma (Carlson) Byers and Howard F. Byers. On May 26, 1956 he was married in Kittanning, Pennsylvania to Dolores M. (Jordan) Byers, who survives. He graduated from Jefferson High School in Jefferson, Indiana. Glenn completed his MDiv training at Grace College and Seminary, Winona Lake, Indiana in the spring of 1960 and began his pastoral ministry in the Johnstown, Pennsylvania area, serving at the Singer Hill Grace Brethren Church until returning to Warsaw in 1966. He also received his Master of Science and Education degree from St. Francis College in Fort Wayne, Indiana. Glenn entered the education field in the fall of 1966 and retired in 1994 from Wawasee Middle School. While teaching, Glenn pastored in several area churches. Glenn’s most recent vocational ministry was chaplain for 18 years at Grace Village Retirement Community, retiring in 2015. Glenn was a member of Lakeland Conservative Grace Brethren Church, where he served as an elder and deacon. He was a member of the Indiana State Teachers Retirement Association, Kosciusko County Retired Teachers Association, District Ministerium -Midwest District, and member of the National College of Pastors. As a lifetime pastor he served the Lord where he was called to do so…having served in many interim pastorates. He served in New Salem Church of the Brethren in Dewart Lake, Indiana; and Sidney Grace Brethren Church in Sidney, Indiana. Glenn had a heart for people and showing them how to know the Savior that he knew and loved. He loved the Lord and never failed to spread the Word. He will be dearly missed by his family and countless friends. 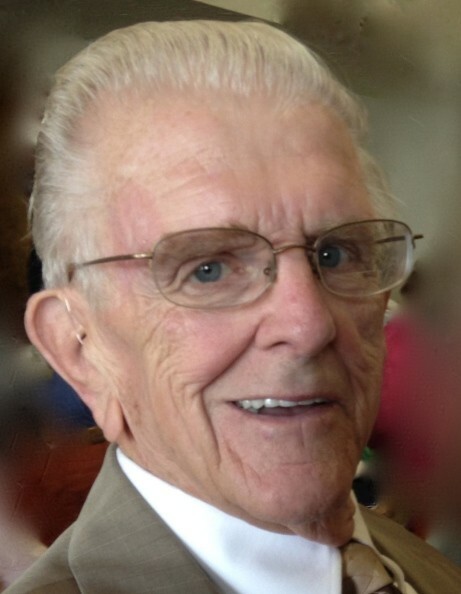 He will be lovingly remembered by his wife of 62 years, Dolores M. Byers (Warsaw, Indiana); two daughters: Valerie Brown (Fort Wayne, Indiana); Noreen (husband Michael) Pollock (Fishers, Indiana); two sons: Brent (wife Brenda) Byers (Warsaw, Indiana); Craig (wife Marlene) Byers (Pierceton, Indiana); and five grandchildren, Jordan, Logan, Victoria, Lauren, Holden and three great grandchildren, Alekzander, Malakai, Keoni (with Elias on the way). Also surviving are his sister: Eleanor McConaghy (Georgia); and one brother: William “Bill” (wife Betty) Byers (Georgia). He was preceded in death by his parents, four brothers and three sisters. Visitation will be held on Thursday, August 16, 2018 from 4:00 – 7:00 p.m. at Redpath-Fruth Funeral Home, 225 Argonne Road, Warsaw, Indiana. A memorial service will be conducted at 11:00 a.m. on Friday, August 17, 2018 at The Chapel of Grace Village Retirement Community, 337 Grace Village Drive, Winona Lake, Indiana and officiated by Chaplain Bryan Benjamin. A private family graveside service will take place at Oakwood Cemetery of Warsaw.